Hope English is okay? We can write it in Finnish if you prefer. 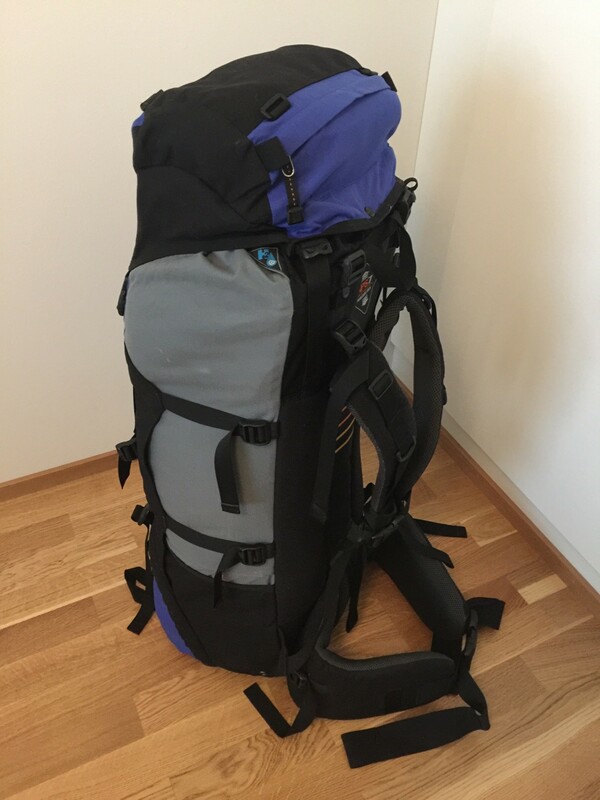 Mine from brand new, in great condition, used for one trip to Chile a few years ago. It was packed inside a duffel bag so no damage with airlines/airports! Fully adjustable APS7 back system, internal frame. A really high quality pack and perfect for longer trips and expedition use. My price includes shipping in Finland, or € 90 if you want to collect in Nikkilä. I can deliver by arrangement nearby to Nikkilä or meet at Kerava train station if you're using public transport and want to collect it in person.